Here are the list of supplies we had to incorporate into our project. We had to use ALL of them in one project. Not so easy! Are you curious to see what I made? 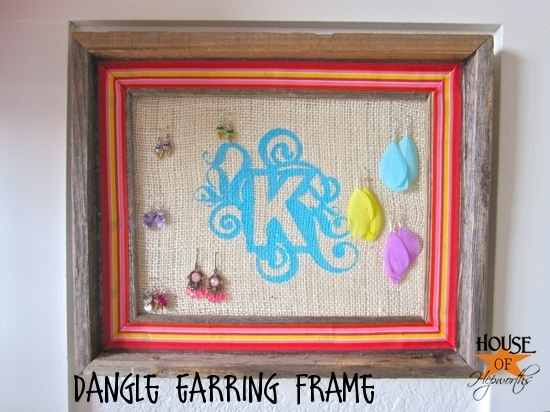 I made a Dangle Earring Frame for my daughter. I’ve racked my brain for months to come up with a solution for her earrings and welcomed this challenge to create something. I almost pulled my hair out trying to incorporate all the items on our list, but I pulled through in the end. 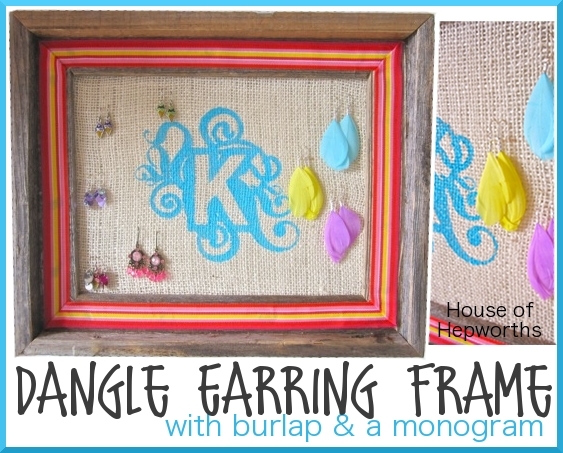 Okay, so here’s how I made this Dangle Earring Frame. I started with a barn wood picture frame. Yes, I’m a cheater-cheater-pumpkin-eater because I bought a pre-made frame. The challenge said barn wood. It didn’t say in what form! * Barn Wood – Check. The frame is from Hob Lob and I got it during a half-off sale. 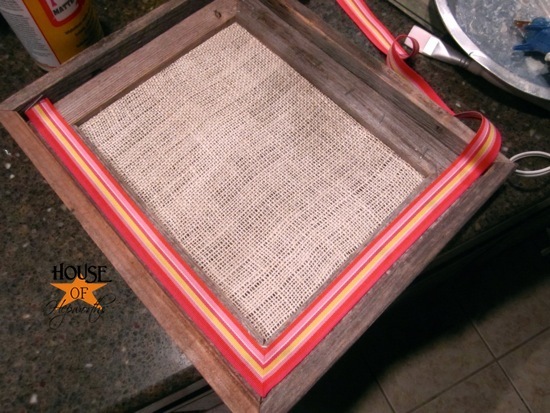 I grabbed some burlap from my stash to attach to the inside of the frame. I used Burlap because the weave is loose and wide. 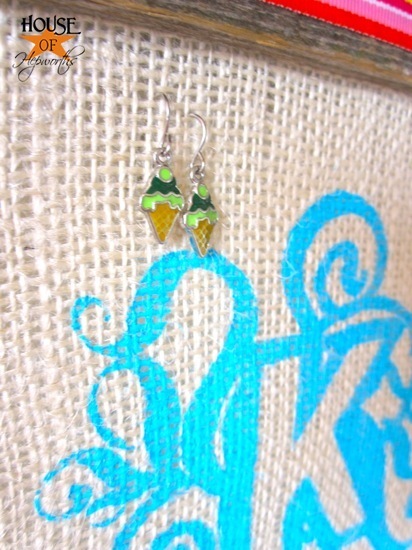 It’s really easy to hang and remove dangle earrings on burlap. 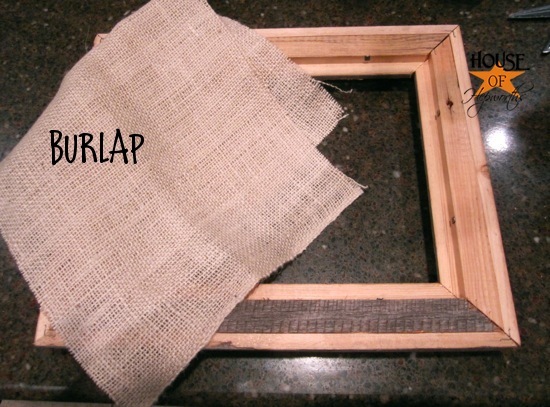 The barn wood frame didn’t like having the burlap stapled to the back of it a million times and I kinda accidentally broke the frame. That’s why there are like 20 staples on the front of the frame – I was too impatient to fix it properly. 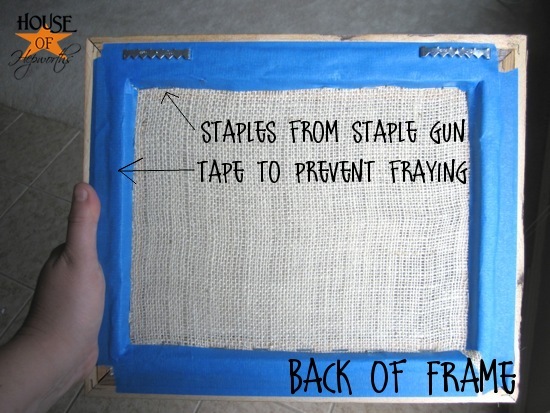 You can see here how I used my staple gun to attach the fabric to the inside of the back of the frame. 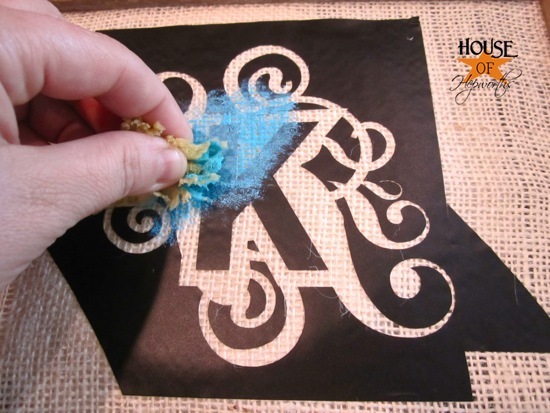 The tape is there just to prevent the edges of the burlap from fraying. Let’s just say the light pink is coral. Just go with it, people. * Coral color – Check. So anyway I glued the ribbon around the frame to cover up the plethora of staples I put on the frame. Worked great. 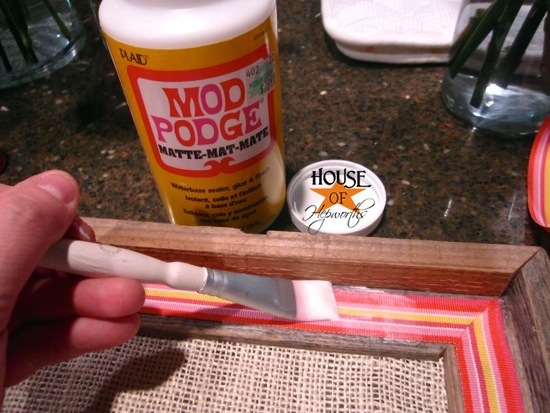 Next on the list – Mod Podge. 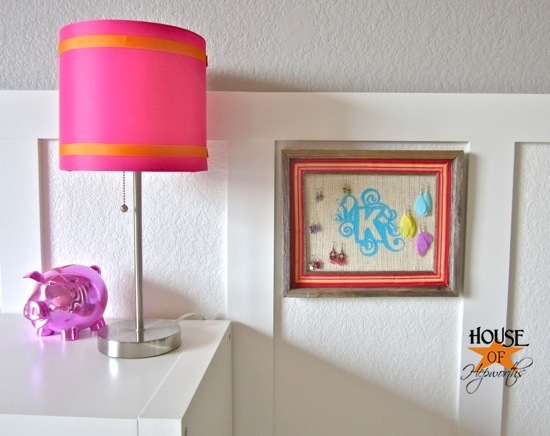 I used Mod Podge to help affix the ribbon to the frame. * Mod Podge – Check. 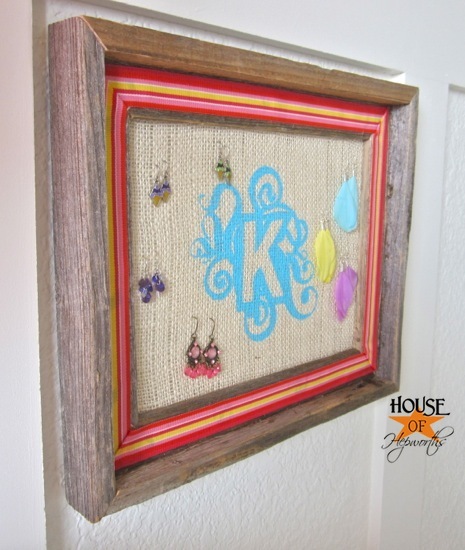 To finish off the Dangle Earring Holder and the challenge I needed to use a stencil. 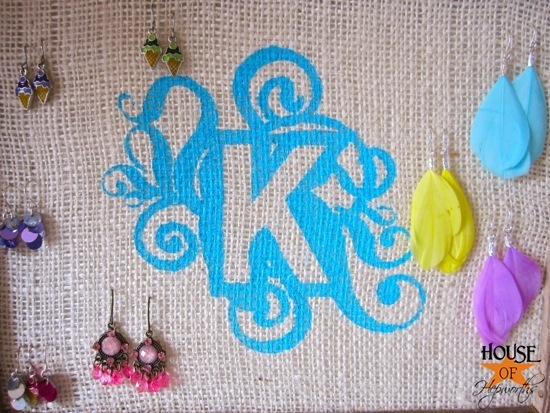 Thankfully I have a Silhouette so I just found a cute Monogram K in the Silhouette store and cut it out the right size for the frame. 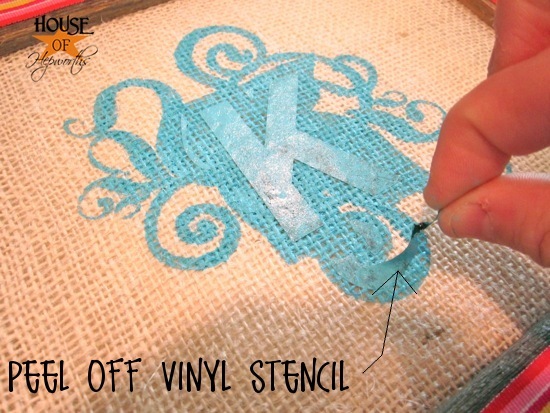 While the paint was still wet I carefully pulled all the vinyl off leaving a beautiful monogram. My daughter chose this teal color, which I was apprensive about at first but quickly realized that she is smarter than I am, because that teal looks fabulous! And the finished result – the perfect Dangle Earring Holder! I actually like it so much and it works so fabulously that I’m considering making myself one as well! I hung it low so that my daughter can reach it. I’ll admit, this challenge was exactly that – a challenge for me. I was so stumped. But I really love the end result. I had such a great time collaborating with these amazing ladies. 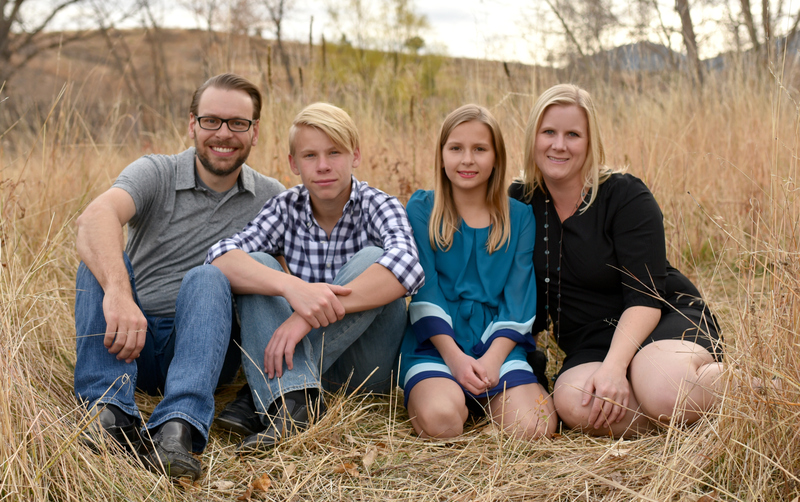 Even though our official 6-week commitment is over, we find ourselves still texting, calling, and emailing each other with blogging and life questions. I definitely call these ladies my friends now. 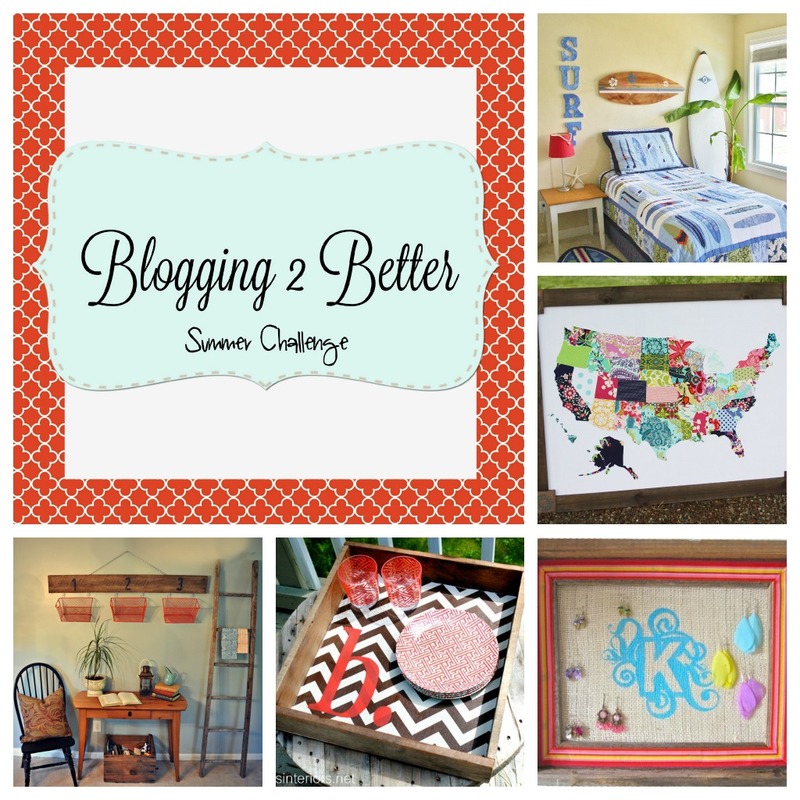 They are all awesome and so are their blogs! 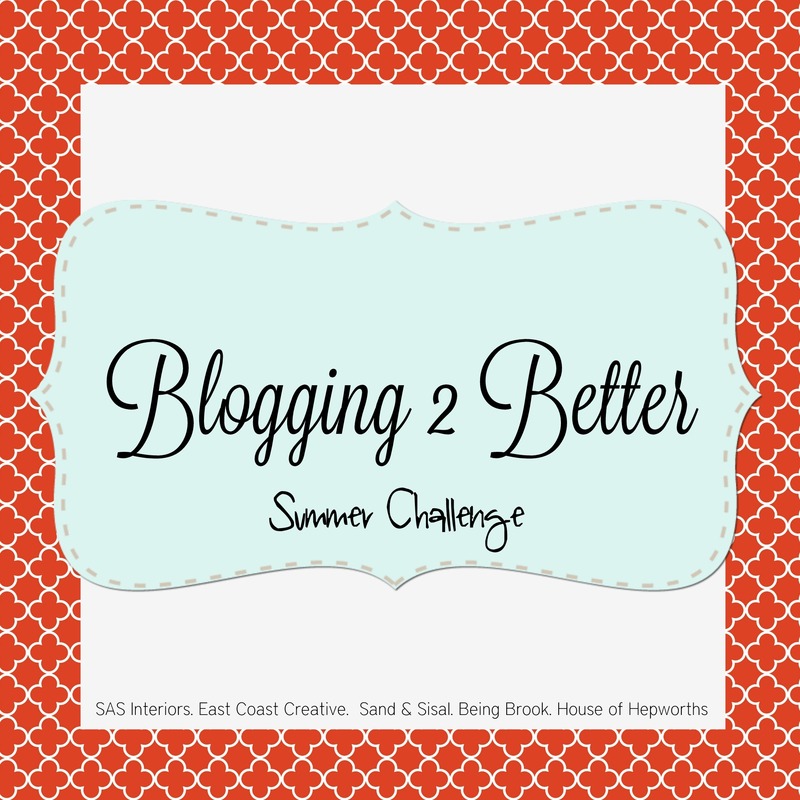 Want to see a sneak-peek of the other amazing Blogging 2 Better Challenge projects? Each of these are so unique! It’s amazing how different each of our projects are even though we all had the same materials to work with. Check out each of their projects below and don’t forget to add their blogs to your favorites list! Totally cute!! Love all you did with this. I think I would have just thrown up my hands in frustration trying to incorporate all those things. 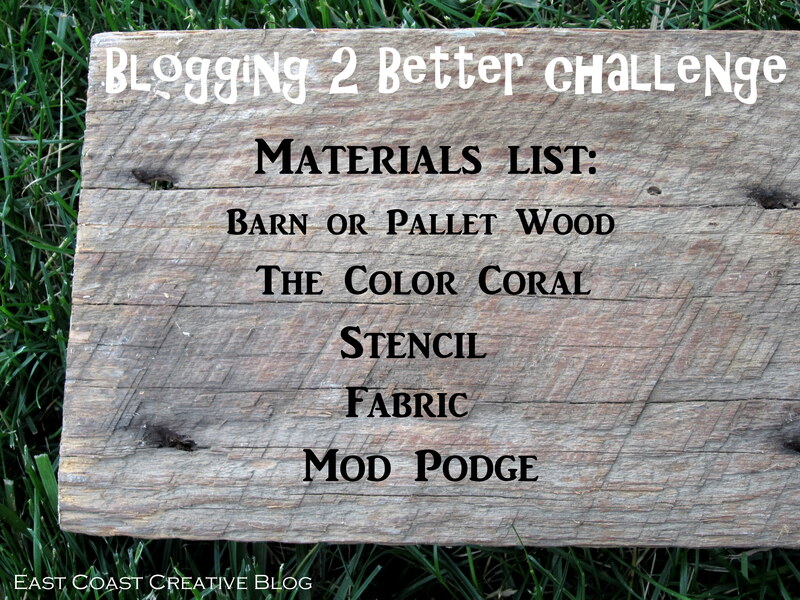 Barn wood AND coral? I dunno! lol! Great job! This is super cute! 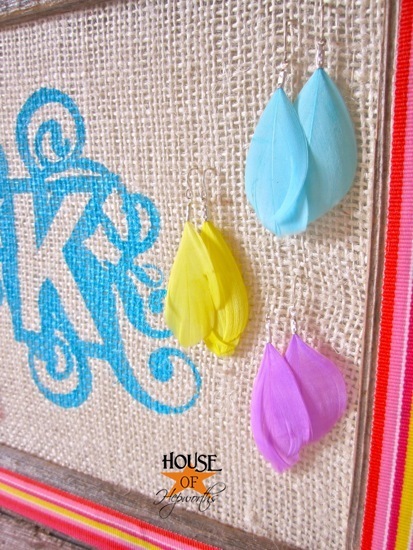 I have a ton of earrings and made something similar with a big frame. 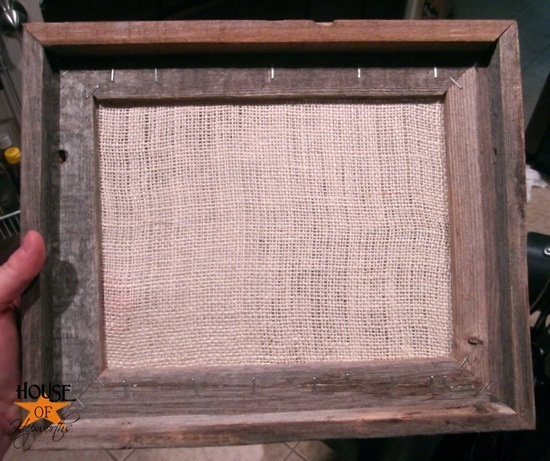 Window Screen makes a good substitution for the burlap if you want a less rustic look! 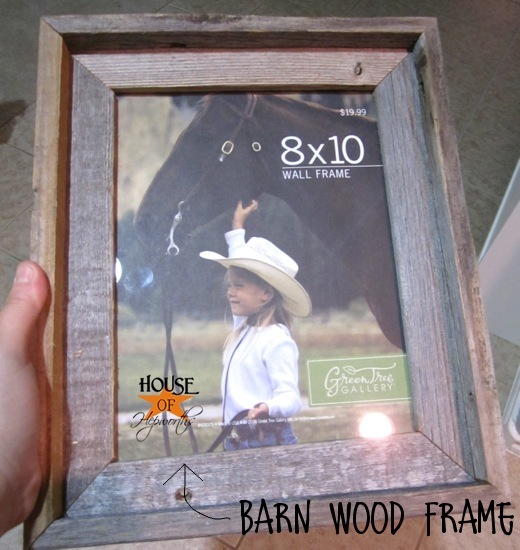 that is adorable and I love the frame, barn wood is so nice.